A single woman in 1820 is a woman who must work hard to determine how to support herself. In a world where a woman is not allowed to vote, make decisions, or often own their own home, if a woman is left widowed or fails to find a spouse, it is a short path into poverty and despair. 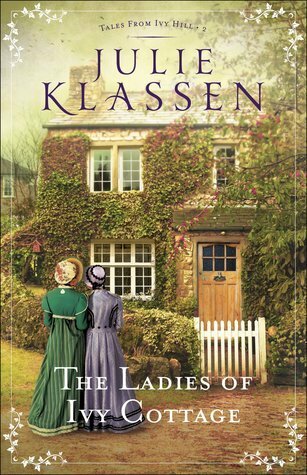 The Ladies of Ivy Cottage is the second novel in the excellent Tales from Ivy Hill series by one of my favorite authors, Julie Klassen. Ivy Cottage is owned by the Grove family. Mercy Grove has moved firmly into spinsterhood and has found happiness by running a girl’s school in her family home with her Aunt Mathilda. Her parents live in London and her brother is overseas, allowing her to live life as she wishes. Her happiness is shattered when her parents arrive with a perspective suitor and an ultimatum. Will Mercy surrender her heart for her school? Rachel Ashford grew up a lady, but her father lost the family fortune and a distance cousin has taken over her childhood home. 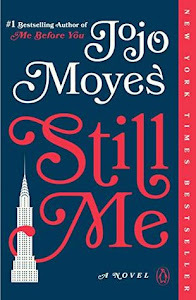 Rachel goes to live with her friend Mercy in Ivy Cottage determined to find a way to support herself. 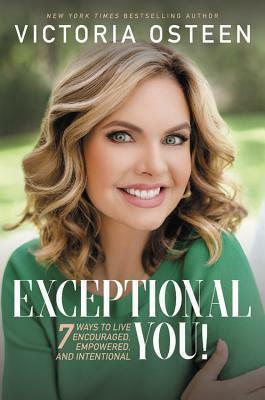 And she does just that when she uses her inheritance of her father’s library to start the first subscription library in Ivy Hill. Rachel pines over her lost love, Sir Timothy, while also considering the attentions of her cousin and the potential of life back at her family estate. Will Rachel find happiness? Jane Bell the main character from book one also returns with more mystery and romance. I loved all the characters in the village and the dark secrets that we learned in this novel. I also loved how the novel explored the real loss that a woman faces when she loses her children to miscarriages and is not allowed to morn or discuss the topic. I also loved the exploration of how a woman could make it is 1820 England. The woman banding together and helping each other out in the village is another favorite element of mine in this book. 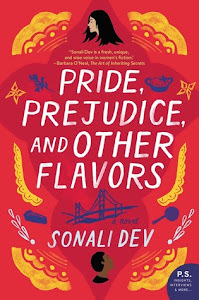 My absolute favorite part of this novel was the hint of the one of my favorite books of all time, Persuasion by Jane Austen. One of the storylines gently follows Persuasion complete with the hero giving the heroine a copy of Persuasion with Captain Wentworth’s speech highlighted. Sigh. I LOVED it! The Ladies of Ivy Cottage is a Christian romance which I like. 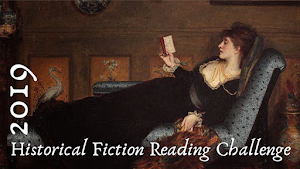 What this really means is that it is more like a Jane Austen regency romance where the romance is romantic and does not veer off into bedroom scenes. There is also no swearing. There is a light discussion of faith such as[BG1] when the ladies go to church or look for guidance in prayer. 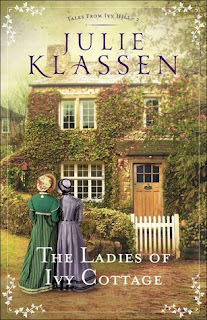 Overall, The Ladies of Ivy Cottage was a joy to read – great characters, setting, and story. I can’t wait to see what happens next in Ivy Hill. I highly recommend this to fans of Jane Austen, regency romances, or just someone just looking for a heartwarming story with wonderful characters. 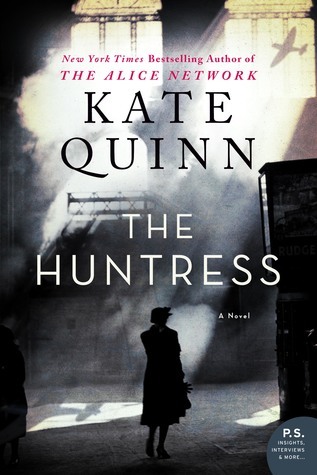 I read this book while I was sick with the flu last week and found it both exhilarating and heart rending all at once. It was a unique book that really pulled me in. 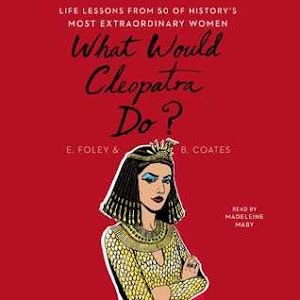 The story is so fascinating that when I started explaining it to my husband all three of my kids ages seven to eleven were enraptured and wanted to know how it ended. Seven-year-old Penelope told me I need to read it to her – I told her she has a few years left before she’s old enough! A.J. Fikry is at a low point in life. His beloved wife has died in a car accident and business is down at his book store. He spends his evenings in a drunken passed out stupor. He hits another low point when the Tamerlane, a rare and valuable collection of 1st edition Poe poems is stolen from his apartment. Then through a series of events, A.J. finds something to believe in again and continue his life. 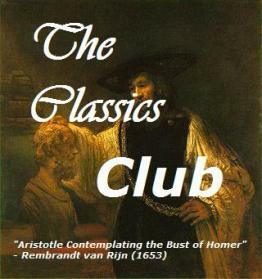 His book store becomes a rare haven where you can find a good book selection from AJ himself and where book clubs groups including the Chief’s Special. Police chief Lambiase not only becomes a friend, but a great reader as well. Between each chapter, A.J. describes a particular short story that has spoken to him through his life. I was pleased that many of the short stories I have read as well and thought were fantastic. It made me realize I really need to read short stories again. A.J. himself was a crotchety character, but I loved reading about him and his transformation. I loved all the other characters as well. I enjoyed that they were all linked by the love of books, reading, writing, selling, publishing – it was so interesting! I also loved that the book was a swan song about the printed word and about small independent bookstores. I love bookstores, nothing can replace them! The storyline was very unique and I enjoyed it. I’ll admit I shed a tear at the end of this book! I enjoyed that the book had additional information in the back including a conversation with the author and book club questions. 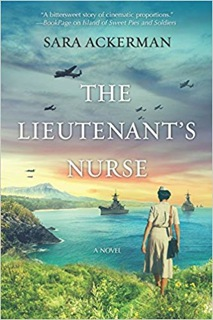 I’ve had this book on my “to read” list for quite some time, but I finally read it as the new Kewaunee Library Book Club has picked it for this month’s selection. I hope I make it back from work in time to attend. I was in the previous incarnation of the Kewaunee Library Book Club for six years until its dissolution in 2012. I think this book will lead to interesting discussion. 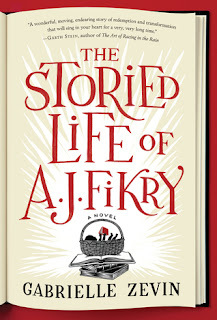 Overall, The Storied Life of A.J. 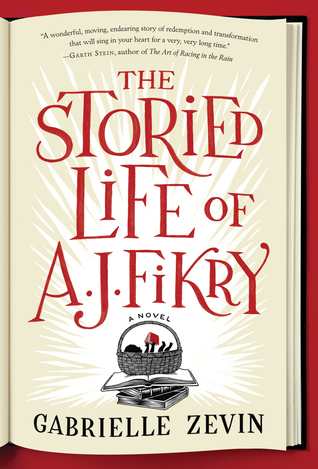 Fikry is an engaging read - sentimental, romantic, funny, mysterious and a love story to all lovers of books. I highly recommend it. Book Source: The Kewaunee Public Library. Thank-you! A legend of the great lakes, the famous Christmas tree ship, the Rouse Simmons sank in Lake Michigan in 1912. I first heard of this ship when I moved to Kewaunee and my sons checked out a nice “Christmas Tree Ship” children’s book at Christmas. I thought it would be a happy Christmas story, but as I read the end of the book to the boys I was crying. You mean Captain Santa does not make it back to his wife and three daughters? Cue the tears. 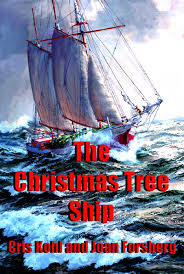 The Christmas Tree Ship adult book gives great historical detail about Christmas trees, the use of Christmas tree ships, Captain Herman Schuenemann, the Rouse Simmons, the sinking of the ship, and its rediscovery in the 1970’s. It also discusses the current Christmas tree ships that keep up the tradition in Chicago. I was interested to learn in this book that Christmas tree ships were kind of a nostalgic tradition even in 1912. Instead of just buying a Christmas tree at a lot or on a sidewalk, it was a family tradition to go down to the Chicago River and select a tree from a schooner, which had become a rare sight on Lake Michigan at this time. Another interesting tidbit I learned was that Captain Schuenemann’s business model was to buy old schooners on their last legs and try to stay at least one trip away from their sinking. In fact, his brother met his end when his Christmas tree ship sank on the way to Chicago. Captain Schuenemann may have hauled lumber all year, but it was the Christmas tree ship that made the most profit and made it, so they could clear the year with profit. Captain Schuenemann had become known as Captain Santa and tried to outrun a storm with his load of Christmas trees from Michigan’s Upper Peninsula on his way to Chicago. Unfortunately, the storm caught him and he lost control of his overloaded ship. It was last seen flying a distress flag going by Kewaunee (where I live). The Kewaunee Rescue station called the Two Rivers Rescue station as they had a motor boat (Kewaunee did not) and they risked their lives to help the Rouse Simmons, but never found the ship in their search. It was not seen again until a diver found in the 1970’s. Captain Schuenemann’s wife and daughters kept up the tradition for twenty years after his passing, which is extraordinary. I really liked reading the details in this book, I learned a lot more about Christmas trees, Christmas ships, and the Rouse Simmons. I found it fascinating. I thought the layout of the book was very informative and I LOVED all the pictures that were included. My husband and kids loved looking at this book as well. Overall, the Christmas Tree Ship is a very informative book about the sinking of the famous ship but it also gives great details about Christmas trees, ships on the Great Lakes, etc. I highly recommend it! Book Source: I purchased an autograph copy from The Peninsula Bookman in Fish Creek Wisconsin. Winner of Little Broken Things!